Clay Aiken, Democratic candidate for U.S. representative of North Carolina's 2nd Congressional District, gives his concession speech in Sanford, N.C. on Nov. 4, 2014 after losing to Republican incumbent Renee Ellmers. Clay Aiken is back on TV — but this time, viewers know he’s going to lose before the show begins. Aiken, a singer by trade, rose to fame on the second season of American Idol in 2003; he came in second to Ruben Studdard. He went on to a successful career in music but was tempted back to reality TV with The Celebrity Apprentice in 2012, on which he came in second place to Arsenio Hall. And in the 2014 Congressional elections, Aiken, running as a Democrat, came in second to incumbent North Carolina Rep. Renee Ellmers. That race is documented in The Runner-Up, a documentary series premiering on the Esquire Network April 7 at 10 p.m. (9 central). The second district Congressional race in North Carolina got a great deal of media attention last fall, beginning with a turbulent and closer-than-expected Democratic primary, narrowly won by Aiken just before the untimely death of the Democrat who ran against him. Aiken’s celebrity also fueled interest, as did his unlikeliness as a candidate in a deeply red district: He’s an openly gay single father. In conversation with TIME, Aiken discussed his quixotic run, his disdain for Ellmers and whether he’d run for office again. 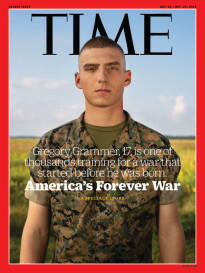 TIME: Is it painful for you that you appear in, and are now promoting, the story of your loss? Clay Aiken: The truth is, when we agreed to let them come we didnt know we weren’t going to win. And they were not the first people to approach us. In the week after I announced, we had three groups reach out and ask us to do the same thing. We dismissed all of them out of hand, I’m not interested in this, I’m running and I’m not going to put up with that. [Producer] Jonathan Chinn was the fourth to reach out and he came better-prepared, armed with recommendations from people I knew and trusted, and a resume that said he was not going to do something disrespectful or smutty. I still was apprehensive but he asked to meet with me. I reluctantly said yes. I did not expect the primary to be as tough as it was, but we had some time. He made his pitch. I said if they stayed out of the way and there were things they couldn’t come to, I agreed to allow them to be around. That was sort of the only connection we had. His crew came, and they did their part with very little from me except an interview every few weeks. In a very stressful period of time, over a year, you gain rapport with the people who are around. It became therapeutic to have someone to talk to about how stressed I was. When they asked me to help talk about this [to the press] I agreed, with parameters, that I would do it. I didn’t know this was going to be a loss. I’ve lost three things now on a large public scale! You have to find a win within every loss. There are ways to find wins even within our losses. I hope those are evident. I haven’t seen any of this. I certainly find ways to see wins, and I hope that becomes evident. It’s hard to imagine that you really believed you could win; the district is, in recent history, very red. Did you really think you could turn it blue? I don’t think anyone looks at the demographics of North Carolina’s second district and thinks, We can turn this blue. Certainly, I’m a Democrat, and I’m proud to be a Democrat. I’m a lot more moderate than a lot of Democrats in this country would like me to be. A lot of North Carolina Democrats are like me. Districts have been so unfairly gerrymandered that we see hundreds of people on both sides of the aisle who don’t necessarily have qualifications, capability, the empathy for constituents to be in those seats, but they are there because their state legislature have allowed them to be chosen. The fourth district got gerrymandered into the second district. My representative was not only one of those people, but a caricature of what is the worst of Congress, a person who has very little core and just does what the party leadership tells her. I’m not going to get too political and campaign here. Without running against someone who would make people pay attention to her, she would stay in that seat indefinitely. She ran in 2012 against a very capable, qualified candidate and refused to debate him, didn’t run ads, did nothing, and she didn’t win by the margin she should have. I wanted to make people pay attention to the race. I go back to calling this a win. She’s nervous now. She’s prob not nervous about a Democrat but she’s nervous about a primary. 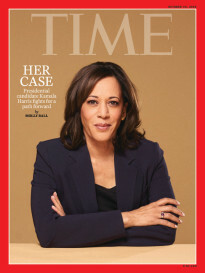 She’s going to get primaried in 2016 and I think she’s going to go. I’m hesitant to feel excited about who might replace her, but at least we played a role in loosening that jar. And when you’re running, you live in a bubble. That’s something you recognize. You live in a bubble when you run for office. I could go into the biggest Republican stronghold — and people would run up to me and say, “I always vote Republican, but I’m voting for you.” When ten people run to you and tell you that, you don’t see the 50 people who are not voting for you. Most of the stimulus that comes your way is positive. In the Mitt Romney documentary, he was shocked when he lost. I empathize with him. I have a small understanding of what it feels like to think you’re going to win. A week or two before the election, I started to understand this was not going to happen. There were stretches up to early October when I thought we had this. Did you experience negativity because you were a gay candidate? I didn’t, really. I equated it occasionally to being a double hyphenate. Everybody seems to have a hyphenate in politics. Barack Obama is the black candidate, Hillary Clinton is the female candidate, Bobby Jindal is the Indian candidate. I was the celebrity candidate. In North Carolina, where people have followed me and watched me, I was so much the celebrity candidate that the gay issue took a backseat. I feel I have survivor’s remorse, because I haven’t been subjected to the same discrimination people have been subjected to. You walk into a place where you think people will react because I’m gay and they’re excited that they saw me on TV the day before. They forget to be homophobic. I’m always a little bit, not offended, but incredulous when people ask, “Why didnt you run in Massachusetts or New York or Los Angeles, where it’s more liberal.” Why would I run in a place that’s not home? People ask why I still live in North Carolina. I have the means to move wherever I want to. There are thousands of gay people in North Carolina who don’t have those means. Should I abandon them or stay and fight for them? Rep. Ellmers used [my celebrity status] as her attack a lot, tellingly. I think it might have been a wink and nod to the gay thing. She used that a lot in fundraising. Our obstacles were people seeing me as qualified or capable, which is ironic, given that Rep. Ellmers was a nurse before getting into politics. Our polls showed people saw me as trustworthy, relatable, likable. they saw me as more local. They did not see me as someone qualified or capable to do the job. We called it “What-the-F— Mountain.” People hear Clay Aiken is running for Congress, and the first reaction is “What the f—?” We didn’t get all the way there but we got to second base camp. So now that you’ve made headway, would you ever run again? It’s not something I’m ruling out. I learned a lot about the political process and the efficacy of being in office. I got great advice from Democrats who are in office. I’m not convinced being in Congress is the best way to make an impact. I got this opportunity to have a voice where people can pay attention. Congress, at the time, felt like an opportunity to do that and get rid of someone who was clearly not doing that. I certainly am not going to say I’m not going to run for office again. I’d be lying; I think it’ll happen. In the meantime, i’m still learning. Does it bother you that you’ve lost, publicly, in three competitions? I didn’t choose the title. Who wants to always be known as incapable of winning? I don’t like that, obviously. It’s been 12 years since I publicly lost my first thing. From that, I was able to be successful. It’s been another chunk of time since I lost my second thing. And we just lost a third thing. There’s an unsinkable quality. For better or worse. I tried to fight for people who never had a chance of winning. There are a lot of people who don’t have a chance to win. I don’t think winning needs to be the end-all and be-all. I’ve got to put a positive spin on things. I’ve come real close in three things and haven’t won anything. I’m still okay. I’m still happy, love my life, and am proud of what I’ve done. I’m only 36. You don’t have to win — you just have to do your best. If the saying “That which doesn’t kill us makes us stronger” is true, I’m made of steel at this point.